It’s only couple of times that great vendors do promotions. Now is time if you want to get discount for Veeam. They are running a trade in promotion, if you trade in, you can get Veeam for the price of your renewal. For example, if you use Backup software that is legacy based (agents installed on the servers) and your primary backup infrastructure is virtual, there is no need for agent based software. Reason is quite simple, agents use a lot of resources, since it’s agent based, there is more possibility that backup would fail. Now, imagine backing up 30 virtual servers at the same time and they all use agents. Disaster, as you virtual infrastructure would come to a crawl. Modern backup uses API’s that connect to virtual infrastructure and pull virtual servers. “Trade up! Get our #1 VM Backup for the price of your renewal. Stop investing in clunky data protection that’s missing capabilities, complex and costly. Instead, switch to Modern Data Protection – Built for Virtualization™ that’s powerful, easy-to-use and affordable. 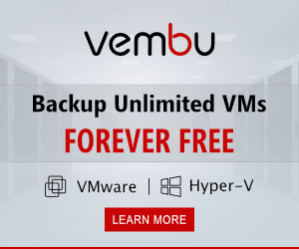 Switch to Veeam® Backup & Replication™. 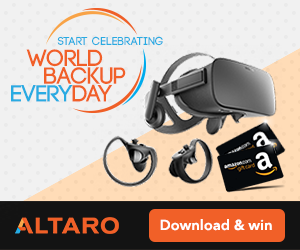 For a limited time, you can get our industry-renowned and award winning backup solution for the same cost of your current backup renewal. And, we make switching easy too! We give you everything you need, all in one license, and with no hidden fees or charges. Our setup and installation is easy and takes less than an hour. And while you probably won’t need them, our support team is ready for your call! You have until last day of December to act on it. Please note, Veeam is virtual only. If you have physical servers in your data centre, please note that Unitrends is of Excellent Quality and has a promotion running as well.